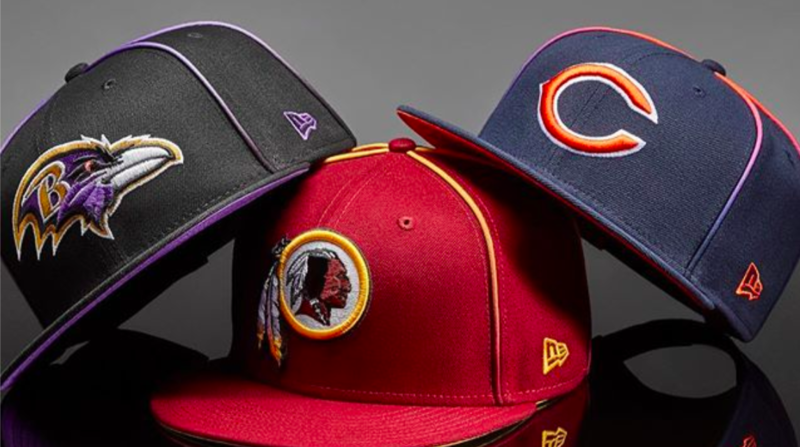 The National Football League announced it has named New Era Cap as the official outfitter of the NFL Scouting Combine. Under Armour has held exclusive rights as the NFL Scouting Combine’s official apparel outfitter since 2009. Beginning with the 2020 NFL Scouting Combine, New Era will provide all performance apparel and headwear used by the approximately 300 Combine Participants including outerwear, baselayer, compression wear, fleece, pants, shorts, caps, knits, headbands, socks and more. The announcement was made by Renie Anderson, Chief Revenue Officer and Executive Vice President of NFL Partnerships, at the League’s Annual Meeting in Phoenix, AZ. The Scouting Combine partnership with New Era extends an already deep relationship with the Buffalo, NY based company that already serves as the official on-field cap of the NFL and holds the naming rights to New Era Field, home of the Buffalo Bills. As part of the agreement, both New Era and Outerstuff will hold retail rights to a variety of NFL Scouting Combine products. The NFL Scouting Combine (National Invitational Camp) brings together over three hundred of the very best college football players who are invited to participate in four days of testing at Lucas Oil Field in Indianapolis, Indiana. Televised by NFL Network, top Executives, Coaching Staffs, Player Personnel Departments and Medical Personnel from all 32 NFL teams are on hand to evaluate these players for the upcoming NFL Draft.